The Lakers are one of 5 teams in the league with both a winning record at home AND on the road, and one of 2 teams in the Western Conference with that distinction. They are also tied with San Antonio and Memphis for most wins against Western Conference teams,and are one game out of the #1 seed in the West. 1 game behind the #1 seed. 4 games over .500 since 2011-2012, IIRC. 1 game seperating Seven teams?? Dang. We’ll see how long it can stay this way. Before the season, I had Lakers 3rd in the West with an outside chance at the 2nd seed if Houston took a step back. Never bought the Jazz hype as top 4. Also per cleaning the glass, the Lakers have the 4th best half-court defense in the league allowing 89.1 points per 100 half-court possessions. Since giving up 130 points at Orlando, the Lakers beat Miami 113-97, Cleveland 109-105 and Utah 90-83, allowing an average of 95 points. Their next opponent is Orlando, at home on Sunday; the Magic should have L.A.’s defensive attention. The Raptors remain No. 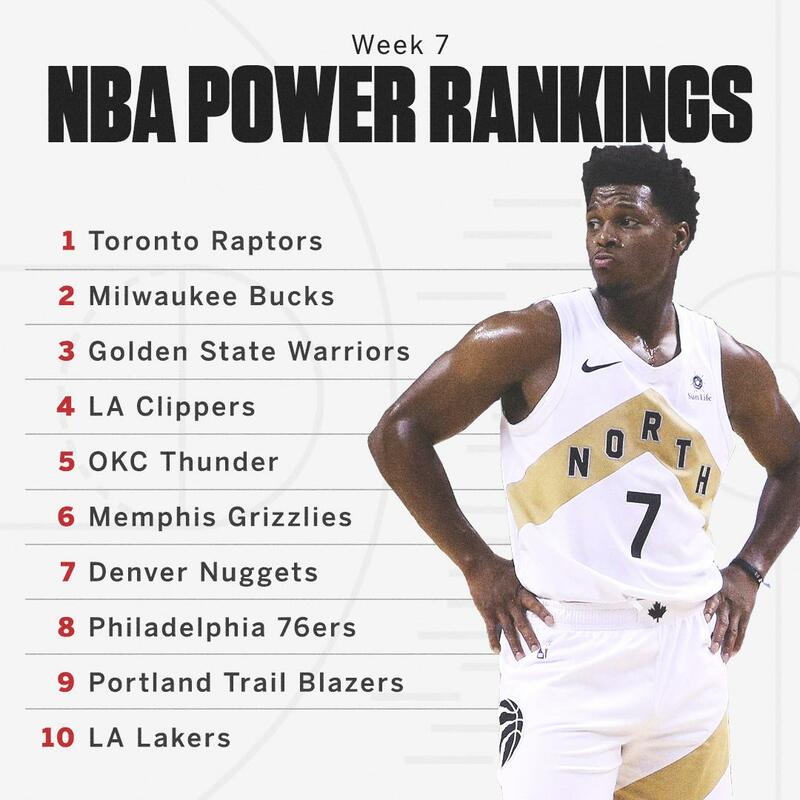 1 while the first-place Clippers move up in Week 7's NBA Power Rankings. Where are we on pace now? This is going to be key for this team since they can’t shoot and their half court offense is subpar. Lonzo and Ingram are taking care of that end. Agreed, and now we're 10th in defensive efficiency. Defense will give us a chance to win games and ignite our transition game, which is our bread and butter on offense. Was looking at the rest of the schedule, Lakers only play 9 teams that are tanking. 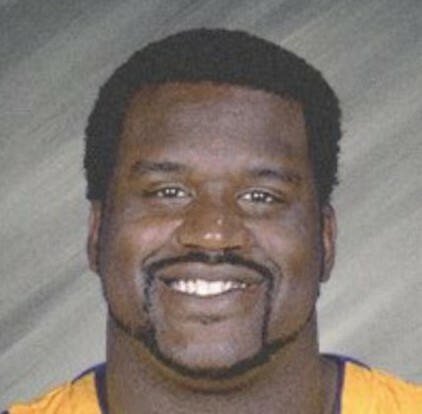 Lakers going to haft to work this year. I'd rather us be a good defense then a good offense. Just my preference. I like teams that can grind and beat you up. The Lakers had a Defensive Rating of 103.5 during the month of November, the 3rd-best mark in the league during that time. That's been the biggest surprise for me this season, I didn't think they'd be able to defend like this. LeBron + good defense is a nice playoff combo too. You can't win a championship in today's NBA being good on defense but mediocre on offense no matter how much you grind and beat people up. We're the Lakers. We play for world championships. Let the Clippers and the Grizzlies hang banners and throw ceremonies for making the playoffs and losing in the first round after grinding and beating people up. 9th defensively now, almost tied with the Raptors. Now please if we could go back to normal offensively (top 10 with LeBron shouldn't be that hard), it could be interesting. and we're still in most of these games that we lose. imagine if we could hit ft's at an 80% clip. if i was luke. I wouldnt let the guys do anything else. film and freethrows thats it. FF practices until i see the team get to 75% or better on the season. we aint doing anything else. and I would tell them, if we lose games because we can't work on anything else. its your fault. hit those ft's. How significant is this stat? That’s pretty exciting if true that means we have guys who can score at will. That coincides with Lebron taking over so it’s good that he’s still the King but we need others to do well in ISO and get theirs in team construct...and do it efficiently.